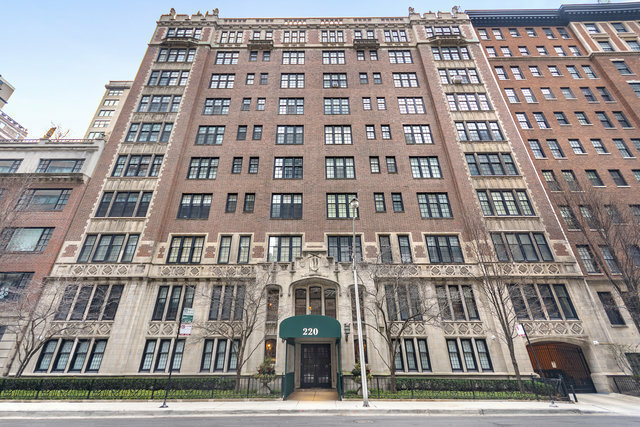 Extensively renovated as the seller's dream home, this mint condition Streeterville condo has a fresh, modern vibe. Step off the elevator into a newly updated foyer for just 2 residences. The spacious entry foyer in this home has stunning new lighting and ample storage. The entertaining space includes an oversized living room w/gas fireplace with new mantle, and a spacious dining room. The butler's pantry with serving area, beverage refrigerator and custom walnut wine storage is open to a casual dining area and a new white kitchen with Sub-Zero, Wolf & Bosch appliances island and farm sink. Each of the 4 bedrooms has a new vintage inspired en suite bath with top quality finishes and fixtures. Other features include Farrow & Ball paint, reconditioned hardwood floors, Space Pak central a/c, new plumbing and electric, designer lighting with dimmers, and in-unit w/d. This professionally managed condo building has new elevators and life safety updates. Facade work is in progress.